Tom’s of Maine is a natural care products company that was started back in 1970, by a couple who wanted to simplify their lives. Unable to find the unprocessed foods and pure personal care products they desired, the decided to make their own. Their simple philosophy was that their products would not harm the environment. Now part of Colgate-Palmolive, Tom’s of Maine still practices the business acumen that made them successful—listening to customers’ needs and coming back with natural, sustainable solutions. Tom’s of Maine also works with its customers to fund deserving nonprofit organizations (NPOs). This year, they are inviting NPOs to nominate their community programs for a chance to share in a $100,000 Community Action Fund award. To involve more of the community, nonprofits can rally their supporters to vote for them. This year, Tom’s of Maine is taking the program a step further—and getting volunteers involved, too! Partnering with VolunteerMatch, the online volunteer recruiting and sign-up website, nonprofits can describe their volunteer needs when applying for the Community Action Fund awards. Through July 2, any qualifying nonprofit with a budget under $2 million can apply online at www.50statesforgood.com. Nonprofits are encouraged to explain how they will use volunteers to benefit their communities. The 50 States For Good program is designed to make it easier for people to find out what charity organizations in their communities need help. Connecting with others and spreading the word about the chance for funding and volunteers is also part of the fun. 40 finalist organizations (in honor of Tom’s of Maine’s 40th anniversary) will have their project and volunteer request showcased on the company’s website. Then in August and early September, voting begins. Five programs will each receive $20,000, to be announced in October. Tom’s of Maine has always donated 10% of its profits to its community and offers employees paid time off to volunteer in their local communities—up to 12 days per year! 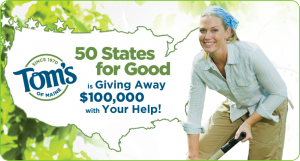 For more information, visit www.50statesforgood.com. The unemployment rate is still around 10% in the U.S. As more people lose motivation to look for work, they are turning to volunteerism to keep busy, update skills, or find new interests. In fact, the demand for volunteer opportunities has inspired the HandsOn Network, the largest nonprofit volunteer network in the country, to participate in large job fairs. The job fairs are a partnership with Monster.com, the online job board. Out-of-work individuals don’t usually remain so forever; when they do find work, they often maintain their volunteer duties, as well as spread the word to their new co-workers about their experience. This is a great thing for nonprofit organizations; the more skilled volunteers that know about your mission and needs, the better. And out-of-work volunteers often have more time, passion, and desire to have a purpose than employed volunteers. 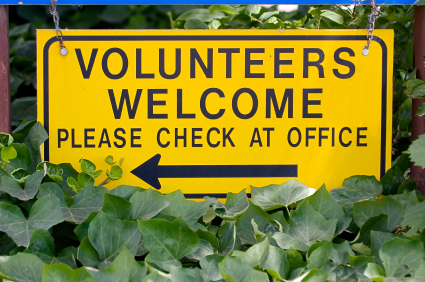 A mix of all kinds of volunteers—employed, retired, unemployed—is a great thing for any non profit organization! If you’re strapped for volunteers, let your network know that you are looking. Now is a great time to gain the skills of the highly-educated, skilled workforce that is now out of work—but they won’t be forever. Whether you need help with fund-raising, marketing, grant writing or strategic planning—there is a wealth of talent in your community that you can tap into. Nobody likes to hear “your services are no longer needed.” But when the recipient of that message is not being paid for her services, it can be even more devastating. And the reverse situation—being told your organization is not meeting a volunteer’s needs—can be just as troubling. Still, letting volunteers go is part of the job of managing them. It’s not fun, but the opposite can be even worse. A non-performing or ineffective volunteer can be a drain on resources, paid staff, and fellow volunteers. 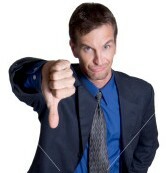 Workplace morale is harmed when problems are not constructively managed. Besides, if a more-qualified volunteer is waiting in the wings, it only makes sense to replace the position. The same guidelines that help employers transition employees out of a job apply to the volunteer relationship: it’s important that effective procedures are established and adhered to. Position descriptions should be supplied to each volunteer in the beginning, so they know exactly what their job entails and what is expected of them. And just as paid staff members receive performance reviews, volunteers should, too. Basic workplace rules must be communicated to everyone—whether paid or volunteers. Drug and alcohol use, tardiness, absenteeism, physical or emotional abusive behavior are examples of zero-tolerance activities that would be grounds for dismissal. Performance issues are different. If volunteers are given clear guidelines and communication is open, the volunteer manager should know what the volunteer feels they are succeeding and struggling with. Give the volunteer opportunities to improve, and let them know up front how the organization’s needs must dictate policies. 1. Do it when you are in control and calm. The heat of the moment (like right after she breaks the copier for the fourth time that week} is not a good time. 2. Do it when you can be supportive and caring. If you’re not having a particularly good day, wait for a better one—it’s not like you have anything to lose by waiting. 3. Don’t do it in front of anyone else—except a witness. Just as when employees are terminated, a private office setting with another staff member present will suffice. Don’t allow that person to interact with the volunteer, if you can avoid it. 4. Don’t over-explain. State the reasons for the decision and keep the focus on the volunteer’s performance, and the organization’s needs and goals. 5. Be kind. 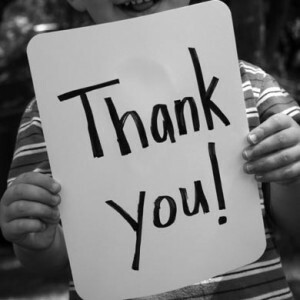 It’s okay to say nice things about the volunteer, and to thank them for their contributions. In fact, starting and ending with positive words are a great way to structure the conversation. Put the constructive criticism and feedback in between. 6. Don’t forget to collect any organizational property such as keys and name tags. 7. Do let others who work with the terminated volunteer know that she won’t be coming back. No explanation other than “she is moving on” is necessary. Remember that the volunteer probably has a circle of friends in the community. You cannot ensure that anything said about her experience with your organization will be positive, but you can limit the damage by a professional, friendly, and appreciative send-off. Finally, knowing your volunteers well can limit the number you have to let go. Volunteer screening is the best way to limit your non profit organization’s risk and protect your clients and staff.